ModernTuba | Modern music for modern tuba. Modern music for modern tuba. Last Summer, I read Harper Lee’s To Kill a Mockingbird for the first time. Awash in the glow of her brilliant voice as a writer, I went on to read the recently released follow-up Go Set a Watchman. Her contribution to literature is immeasurable, unflinchingly approaching and defining the American experience with great respect and humility, and it is my profound wish that her works inspire new authors to do the same. So this month, I finished reading Harper Lee’s To Kill a Mockingbird (which I had never read before, though I had seen the movie years ago) followed by the newly released Go Set a Watchman, and I have big thoughts. Obviously, the former is secure in its spot as one of the most beloved and important novels of the twentieth century, and I acknowledge its well-deserved kudos, so I won’t go into detail about it. Its follow-up/predecessor, however, is important in its own right, despite the controversial nature of its release and existence. All that debating aside, I think these novels are necessary bookends. They need each other to become a full work. Much has changed in the sleepy Southern town of Maycomb, Alabama, and Jean Louise (the Scout character from TKAM), now in her mid-twenties, has returned home from New York to spend a couple of weeks with her family. What first seems like business as usual soon takes a revelatory twist when she discovers shocking new information about her father that is totally at odds with the great man she thought he was, and it forces her to reassess everything she knows about herself and her life: Atticus Finch is an unrepentant racist. As we mature, we are compelled to discover all manner of uncomfortable truths. It is no less so for our hero Jean Louise, who must reconcile the godlike image of Atticus Finch she has carried with her since childhood with the stark reality of his mere humanity. It is a blow that goes right to our core. It is a bitter pill, but it is an extraordinary one I did not see coming. GSAW is not the entertaining romp coming-of-age story with a serious message that TKAM was; instead, it is a more mature, more adult look at how we view ourselves in the present versus the idealized visions left hanging from our youth. It challenges the way we see who we are and the way we see the people closest to us. It forces the reader to confront the blinders and decide whether or not to reject them. We must purge the worship of our idols and embrace sober realities in order to finally grow up, and this which is exactly what Jean Louise must do. So, too, must all the legions of Atticus Finch fans, who grew up revering him as a towering figure of American Literature—we must kill our darlings in order to grow and become what we are meant to. To wit, Atticus Finch is simply not as great a man as we thought he was. Whose father is? This is the very heart of the matter. This is the very uncomfortable truth we must accept. There is also a commentary about the state of the South during the mid-20th century, containing an honest, non-apologist assessment of why it evolved as it did—more uncomfortable truths that we “liberals” and “Yankees” have conveniently forgotten or willfully ignored. The context has given me a whole new understanding of where we were then and where we are now. We as a nation still have much work to do to cross that same bridge of maturity that stands in front of Jean Louise. Finally, I would say this is a contemporary book, more relevant today than when it was originally drafted in the early ‘60s. However it came to us, I am grateful it did. As Lee writes in the book, “the time your friends need you is when they’re wrong … They don’t need you when they’re right.” It is sage advice for these turbulent times, and we have a friend in Go Set A Watchman. Harper Lee, rest in peace, and thank you. This entry was posted in Uncategorized and tagged authors, books, fathers, go set a watchman, harper lee, legacy, memorial, racism, reviews, rip, to kill a mockingbird on February 20, 2016 by moderntuba. We all know that Morricone is an unparalleled Master of film music. His history is rich with some of the most memorable scores, from the spaghetti western days and the groundbreaking music of THE GOOD, THE BAD, AND THE UGLY through to the incredible soundtracks for THE UNTOUCHABLES, CINEMA PARADISO, and THE MISSION, this new entry is a welcome and solid new installment for a composer who is now 87 years old. There has been a lot of Morricone’s work in previous Tarantino films, but it was all licensed material of previous work. For THE HATEFUL EIGHT, Tarantino went right to the source, and Morricone didn’t disappoint, delivering powerfully thematic music that breaks open the narrative and adds new dimensions to a film that, otherwise, is a middling effort from Tarantino. From the descending melody line to the pulsating drums and churning drone of the low strings, the score makes the film feel bigger, wider, and more stark and suspenseful than the movie might have otherwise been in the hands of any other composer. It’s impossible to ignore the power it drills into the film, and you will leave with its hypnotic and insistent melodies running ‘round your brain. But its greatest strength may also be its greatest weakness. As masterful as the music sounds, its effectiveness may be more accidental than intentional. I couldn’t escape the feeling that the music was pre-written and adapted to the picture, more like a licensed use would be, rather than a collaborative effort with the filmmaker. This may not even be the case, but so much of it feels recycled and repurposed that I couldn’t ignore it. Also, mixed in with the score are several Morricone pieces that actually are licensed, pulled from other earlier works of his. It all amounts to THE HATEFUL EIGHT being an effectively entertaining Quentin Tarantino film, which is to say, it has all the Tarantino elements in place: long, talky, undeniably cool dialogue; amazing cinematography and auteristic direction; brutal sense of absurd violence juxtaposed with comedic timing; and over-the-top music selections to power its retro-contemporary feel. In other words, it’s Tarantino Remixed, and the biggest difference might be that there was also a custom score added to the ingredients. As much as I love it, it’s not the Oscar-winning score I hoped it would be. This is in no way the fault of its composer; rather, it is the result of the filmmaker’s vision—and I don’t know that there was a better approach available for this film. Having said that, it’s impossible not to acknowledge that Morricone has never won an Academy Award (other than an honorary one), despite multiple nominations, so I would be happy to see him finally win one here. The film itself will mostly be remembered for not being RESERVOIR DOGS, PULP FICTION, KILL BILL(s), and INGLORIOUS BASTERDS, ending up alongside JACKIE BROWN and eventually DJANGO UNCHAINED in the collective memories of film-goer. The movie is too long, but damn, it looked glorious in 70mm, so if you still want to see it in a theatre, find yourself the Roadshow version. It’s totally worth it. This entry was posted in Uncategorized and tagged ennio morricone, film scores, films, quentin tarantino, reviews, soundtracks, the hateful eight on February 1, 2016 by moderntuba. When I first broke the news to my Facebook friends that I was chosen to play tuba onstage with Amanda Palmer and the Grand Theft Orchestra, most of the responses were of the “congratulations!” variety. Several, however, seemed to be far more interested in my financial well-being. “How much are you paying her?” one jokingly inquired. “Make sure she pays you,” urged another. “Hope you’re getting paid,” someone else remarked again. For the purposes of this blog, let’s side-step the entire idea that it’s no one’s f-ing business whether or not I get paid to do a gig. That’s like asking a co-worker how much she gets paid or someone you just met his age. But the somber reality is that, for many people out there, $$ comes before art. 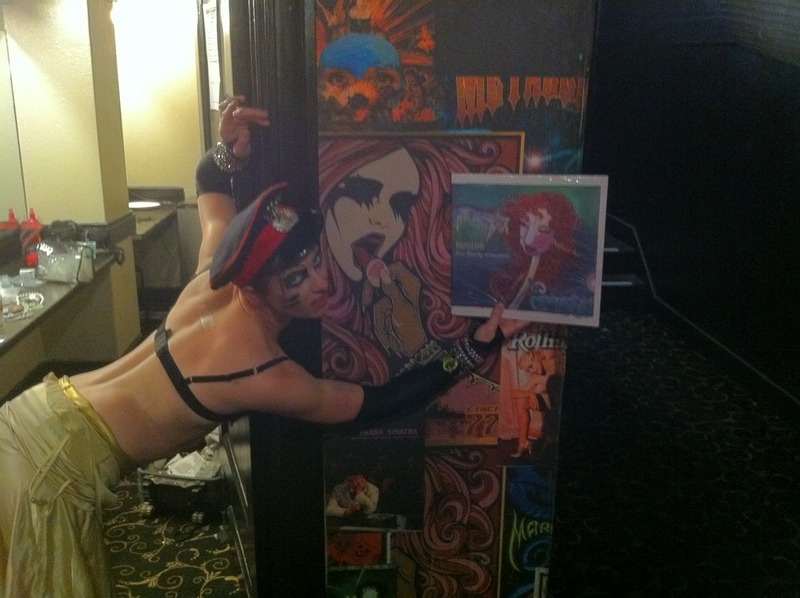 Amanda Palmer stirred up a hornet’s nest. Her approach to making music and presenting it to listeners breaks all the alleged rules of rockdom. Instead of getting funding from a deep-pocketed empire that puts up walls to control the flow of art in exchange for the lion’s share of the $$, Amanda decided to do it on her own. By engaging directly and honestly with her audience, she was able to win over their hearts, culminating in a Kickstarter campaign that raised over $1.2 million. Raising over ten times her original goal of $100,000, she shattered the music crowdfunding record. But she didn’t stop there. She wanted to keep finding fresh, inventive ways to keep her listeners moved and entertained; she wanted them to feel involved. When it came time to tour, she announced that, at each stop along her route, she would crowd-source musicians from the local area to perform with her, reaching out in an unprecedented way to introduce these strings and horns players to her audience while giving them the opportunity to collaborate with the band. This is where controversy struck. Some in the blogosphere began to revolt. They began to accuse Palmer of using musicians by refusing to pay them. That when musicians work for free, it somehow devalues what they do. Look, I get it. Musicians, myself included, work incredibly hard. We’ve trained extensively, and we’ve spent exorbitant amounts of time and money to become proficient at what we do. We deserve to be fairly compensated for our abilities, yet we struggle in a nation where we are constantly expected to work for peanuts and be grateful. That said, I also think some of us have forgotten why we learned music to begin with. We didn’t pick up our instruments because we thought it would lead to $$ … we picked them up because we thought it would lead to love, art, freedom, therapy, expression, and any number of other intangible rewards. When I considered the opportunity to join Amanda on stage, I placed more value on being part of a team I greatly admire, performing with folks who make great art and interact with fans as fellow human beings rather than view them as meal-tickets. I wanted to be part of a dream, part of a movement, and part of a revolution. I would have been happy to be paid in hugs and high-fives—and to have been reminded of the spirit of what set me out on my musical journey to begin with. And then, I got paid. In response to all the criticism, Amanda managed to shake loose enough money to pay every musician who sat in with the band during the tour. Performing on that stage before an audience of a thousand excited fans, I felt like a million bucks. I wouldn’t have traded away that feeling for a million in my bank account, and I would volunteer to do it again in a heartbeat. I was welcomed as part of the family, and that welcome was warm, it was honest, and it came from every single person who was part of the tour. So, to all the people who wanted to know if I got paid, the answer is YES. And also, I was handed $$. 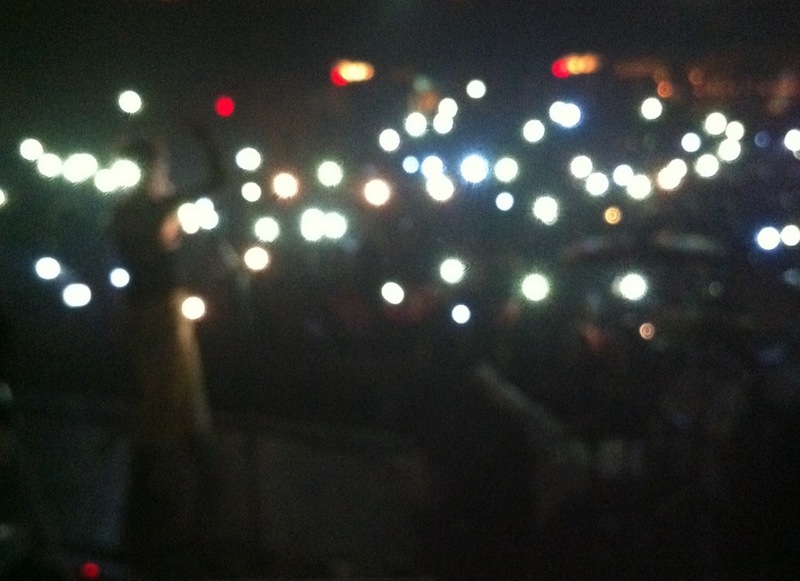 Photo 1: Photo of the audience with their flashlights, taken from the stage! 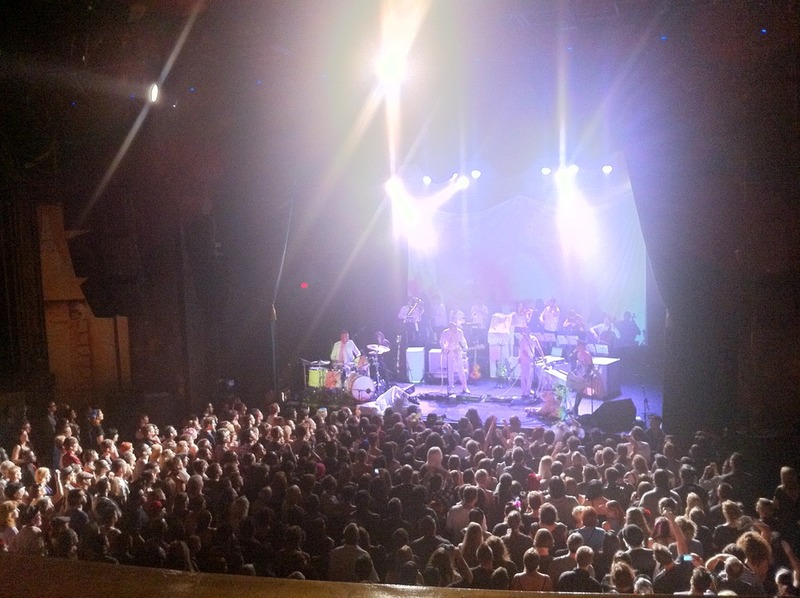 Photo 2: Photo of the set opener, including the horns and strings, taken by Melissa Axel from the balcony. 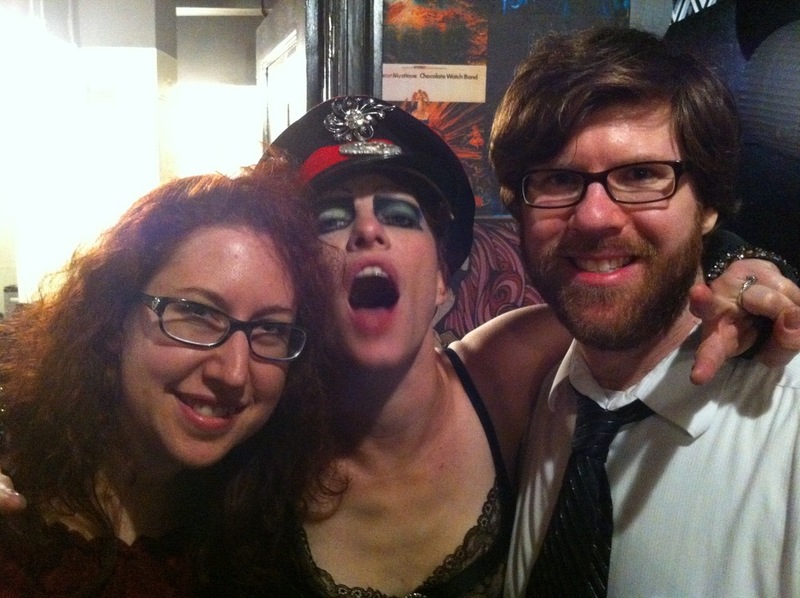 Photo 4: Melissa Axel, Amanda Palmer, and ModernTuba pose after the show. This entry was posted in Uncategorized and tagged amanda palmer, art, collabortion, confessions, crowdfunding, expression, freedom, gigs, grand theft orchestra, high-fives, horns, hugs, kickstarter, love, music, musicians, rockdom, strings, therapy, tuba on October 3, 2012 by moderntuba. Sometimes projects don’t turn out the way you expect them to. 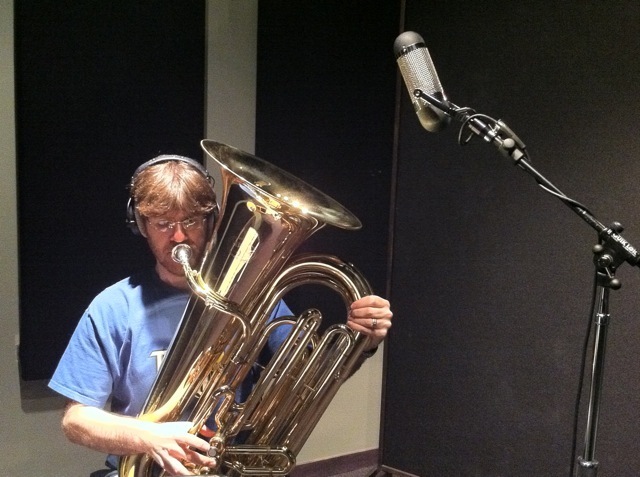 In April 2011, I was hired to record tuba on an alt-rock song for a Church music director, and I was excited about being asked to replace the electric bass part with tuba. After all, it’s my ModernTuba mission to play tuba on songs that don’t usually contain it, like pop, funk, jazz, and even, as in this case, U2-esque Christian rock, even though I’m not religious. Since I had been recommended to the project by a friend, I felt pretty comfortable accepting the gig. It ended up being a somewhat strange experience. The music director wanted soft textures with long sustained notes in the chorus sections. He sent over an unfinished recording of the song with a lead sheet that had all the wrong chords (the guitar part was probably played with a capo). It sounded good, very professional and I transposed the chords and worked out a part. It was two months before I heard from him again, but we finally chatted and set a date to record. When I arrived, the session was set up in the living room of the album’s producer. We’re not talking a swank studio in the lap of luxury, though—it was more of a cookie cutter apartment in a large 4-floor apartment complex. The producer/engineer was alone, having moved his dog to the bedroom for the occasion, and I sat on the edge of a cushy ottoman to play my part into the microphone that was carefully positioned overhead. Do-It-Yourself production is usually a good experience that really engages the passions of the people involved, and as soon as I was assured that I could get away with playing as loudly as I wanted without regard to the neighbors above or next door, I was ready to go for it. We had a window of about ninety minutes before his wife would be home, so, mindful of the time, we began to record. After an hour, we had recorded some lush textures in which I had doubled my part and also played harmony lines to fill out the sound. Upon playback, the unmixed tracks sounded rather good against the backdrop of guitar, drums, synthesizers, and processed vocals. Feeling pleased with the results, he moved back the mic, thanked me, and closed down the session as I packed up my instrument. Umm, doesn’t Pro Tools usually auto-save? Isn’t it in a backup folder somewhere? He didn’t know. He didn’t know if it was possible to get it back; and if it was possible, he didn’t know how to do it. I certainly didn’t know anything about it. We did it again. This time, we had twenty minutes to get it right, so it was a bit of a rush job. He set up the mic, hoping it was in the same relative position as before, and we used first takes only. I felt pretty assured that I nailed each layer but still offered to come back another time, at no extra charge, if need be. Aside from receiving my check, I heard nothing after the session. Days turned into months. Months turned into a year. Not every recording session I play on will end up being used or even used the way I expect it to be. I was compensated for the job, did my part, and wished the project well. I never did meet the music director or anyone else involved. Then today, while doing a search for something else, I came across a Bandcamp page that had my name on it. The link turned out to be this very project, under a band name I’d never heard before, and there was the song in question. The album was released this past April, and, sure enough, it included my credit for playing the tuba. Eager to hear how it turned out, I listened to the song on my headphones. Twice. It sounded high-quality and had a great groove. In fact, the entire album sounded great— a real U2-esque triumph in honor of their faith. That said, the tuba part had been replaced by an electric bass. Picture from a recording session with a different band. This entry was posted in Uncategorized and tagged bandcamp, Christian rock, DIY, electric bass, Kurt Vonnegut, Pro Tools, recording projects, sessions, strange occurances, tuba, U2 on September 18, 2012 by moderntuba. The truth is, that’s exactly how it felt for me … like we were embarking on this glorious action-packed adventure with thrilling romance and great heroism. It was all that and so much more, but it all happened so differently than I envisioned. Sure, I could go on at great length about the extraordinary amount of hard work, the incredible contributions of all the talented musicians, the ingenuity and brilliance of our producer, the unbelievable response from all 184 of those who contributed to the Kickstarter campaign, etc., etc., but in the end it all amounted to what was, for me, a profoundly moving and life-changing experience. When Melissa and I began making this album, I knew I wanted it to sound great and be well-received by listeners, critics, peers, and other industry professionals. What I didn’t realize was how going through this experience would finally help me realize exactly what I wanted to be when I grew up. The missing piece of my puzzle was finally found, and suddenly everything made sense. I hope you’ll follow me in following dreams. This entry was posted in Uncategorized and tagged debut album, inspiration, love . humanity . metamorphosis, melissa axel, motivation, music, star wars on September 20, 2011 by moderntuba. Tuesday night I finished another year stint playing with the Metro State Community Concert Band. Although the band is considered a class for students who don’t make it into one of the audition-based ensembles, it is also an open opportunity for members of the community to join in, thus filling out the ranks with wind players, many of whom don’t have any other outlet for reading and performing music. Despite the odd combination of young collegians, working age adults, middle agers, and a handful of geriatrics, it works in a charming way. Some are better than others, so the quality can be inconsistent, but we have a good time reading. Our director is a hoot to work with and picks music that is challenging and entertaining. Twice each semester we perform in the King Center on campus. The other tuba player is an octogenarian named Virgil, the oldest tuba player in Denver as noted at a recent Tuba Christmas event, and he is a collector of rare instruments, an enthusiast of Civil War era music, leader of the Denver Ophicleide Association, a fine woodworker, and a music historian among other things. He’s a delight to play alongside, even though he’s more a tuba hobbyist than a player (he told me once his principal instrument is the clarinet). This semester, Virgil put together an ensemble of hurdy gurdy players and commissioned an arrangement to have them play with the band at our end of year concert. It was called “Hurdy Gurdy Fantasy,” but I referred to it simply as Measures Of Rest. Measures Of Rest is a collection of folk tunes meant to invoke the spirit of the lirnyky buskers of 19th century Eastern Europe, so naturally our performance would have been incomplete without folk dancers, slide whistles, funny hats, wood blocks, and other silly shenanigans—not to mention the almost-but-never-quite-completely-in-tune droning of the hurdy gurdys themelves. It was an odd performance and a trial to sit through. Perhaps I would have enjoyed it better had there actually been something to play. Instead, it was an exercise in patience as I counted out measure after measure after measure of rests. 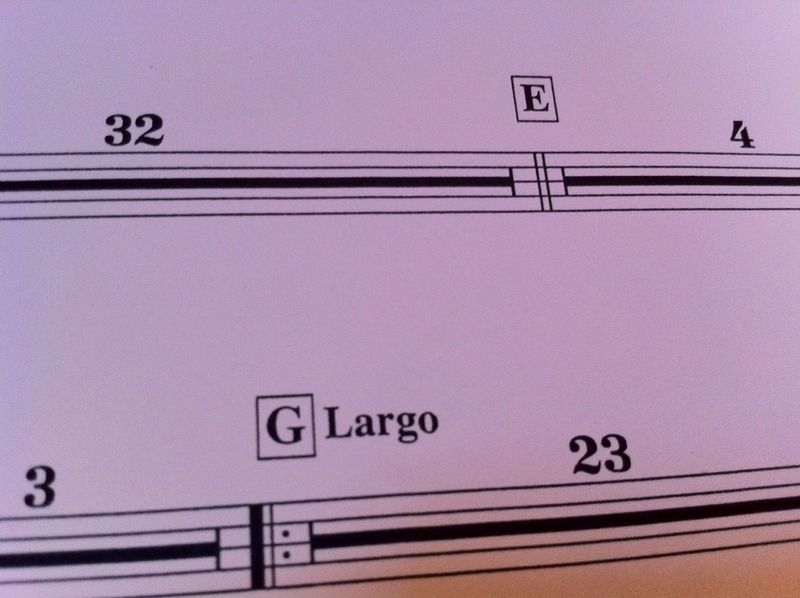 * There are 229 measures of music, none of them up-tempo. * I actually play for 20 of them, broken up over three sections that are nowhere near each other. * At its longest stretch, I have 116 measures of rest in a row where section G repeats three times (prime time for tweeting). * By the end my participation equaled a staggering 8.7%, meaning I was doing nothing for 91.3% of the piece. I’d like to be able to say I used this time to ponder the mysteries of the universe and its message about patience, the importance of slowing down to smell the roses, or some such psychobabble, but the hard truth is I spent it being bored. Heck, it was all I could do to stop myself from tweeting a photo of the concert while we were in the middle of the song. I can’t even find a way to tie it into its deeper meaning and broader implications in this very intellectual blog post. And to top it off, with Virgil playing hurdy gurdy mastermind, he wasn’t able to play tuba, which left me as the only tuba player for the entire evening. Sure, I was happy to show off my new Jupiter (for our fun finale song, the tuba section—in this case only me—had to stand and play for a minute), but it felt awfully lonely. Still, the concert was another fun romp with the concert-band-that-could, and I hope I’m able to make it out next year, even if there are more measures of rest. Oh, there is no rousing ending to this story. Like the hurdy gurdy tune, it just sort of … ends. Oh well! This entry was posted in Uncategorized and tagged bored, community band, concerts, folk music, hurdy gurdy, intellectual blog posts, measures of rest, metro state concert band, mysteries of the universe, patience, photos, playing solo, reading music, tuba players on May 6, 2011 by moderntuba. Every wedding deserves to be crashed by a group chaotically playing DIxieland music as they march unexpectedly around the reception hall. I humbly submit the following as the ModernTuba Video of the Week! This entry was posted in Uncategorized and tagged dixieland, party crashing, video of the week, videos, weddings, when the saints go marching in on April 17, 2011 by moderntuba.